I also reviewed her second book about a crabby cat having a very bad day at a birthday party called BERNIE GETS CARRIED AWAY, which you can read about here. Me with Hannah at the spring SCBWI Oklahoma conference. I received an advanced copy of Hannah’s newest book, MY FRIEND MAGGIE from her when I saw her this past spring at our SCBWI OK conference in April. There may have been some actual jumping up and down when she gave it to me. I get excited when I receive free books from people, especially when they’re as talented as Hannah. I’m so honored to be able to review this book before it releases in August. Be sure to pre-order your copy today! This is such a fantastic story about friendship, and what happens when that friendship gets put to the test. Before I even get into the fantastic artwork, can I talk about the inner nerd girl/weird girl/picked-on-by-the-mean-girl little part of each of us hidden way deep down inside that can’t help but tear up at the lunch room scene? I’ve lived that scene. It felt just that awful. Talk about nailing the emotions. Pow! As always, Hannah is a master at using vibrant color, white space, and perspective in her artwork to enhance the emotional impact of the story. She ties it all together to bring this thoughtful tale to a very satisfying conclusion. I fell in love with this book. And with Maggie. Everyone could use a friend like her. As a special treat, you can view this clever video Hannah made for her Artist’s Studio Tour. I co-hosted this month’s Special Edition of #okscbwichat on Tuesday evening with our guest, Oklahoma illustrator Timothy Lange. Timothy Lange has been a graphic designer, illustrator and fine art painter for over 30 years. He graduated from the Colorado Institute of Art in 1982 and studied at the Art Students League of Denver (off and on) from 1989 to 2003. He is an active member of the Oklahoma Chapter of the Society of Children’s Book Writers and Illustrators (SCBWI). He was was transplanted to Broken Arrow, Oklahoma in 2003. Aside from the bugs and humidity, he says its not a bad place to call home. Follow Tim on Twitter here. During our Twitter chat, Tim discussed how Chris Van Allsburg influenced his work, he talked about the inspiration for his first authored book SCARECROW’S JOURNEY, the toughest challenge he faced while working on this book, and he even shared some pictures of his art with us. It was a lively chat, despite the threat of inclement weather. **Next month, we have a special SCBWI MEMBERS ONLY event planned on Saturday, June 11th, in place of our regular #okscbwichat. A FACEBOOK CHAT with YA author Courtney Summers & her agent Amy Tipton. To participate in the event, click this link: bit.ly/1Tx9RGK and select Join. 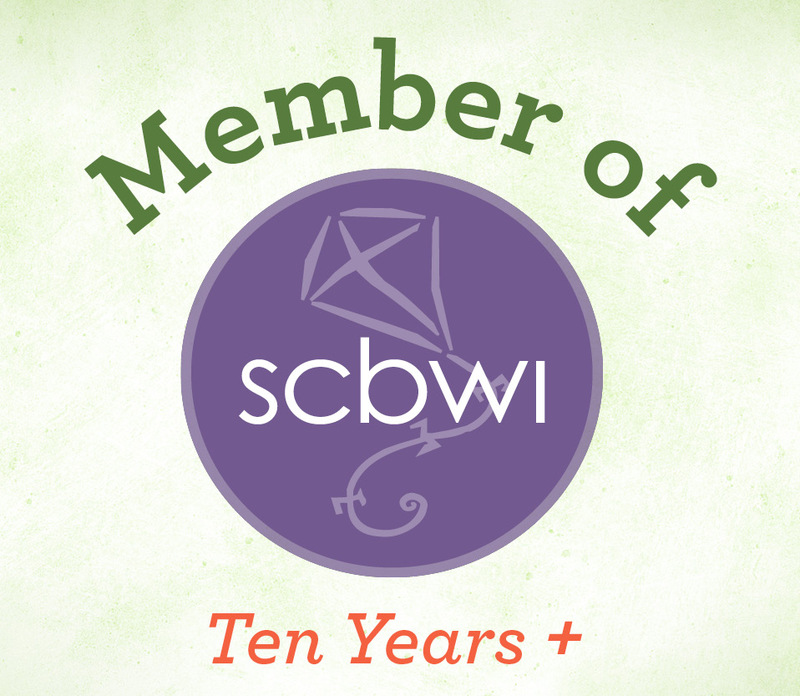 If you are an SCBWI member, someone will add you to the group. Make sure to do this before the event so you can post your questions! We return to our regular #okscbwichat schedule in July when our special guest will be YA author Brenda Drake. See you for the next Twitter chat on Tuesday July 26th! 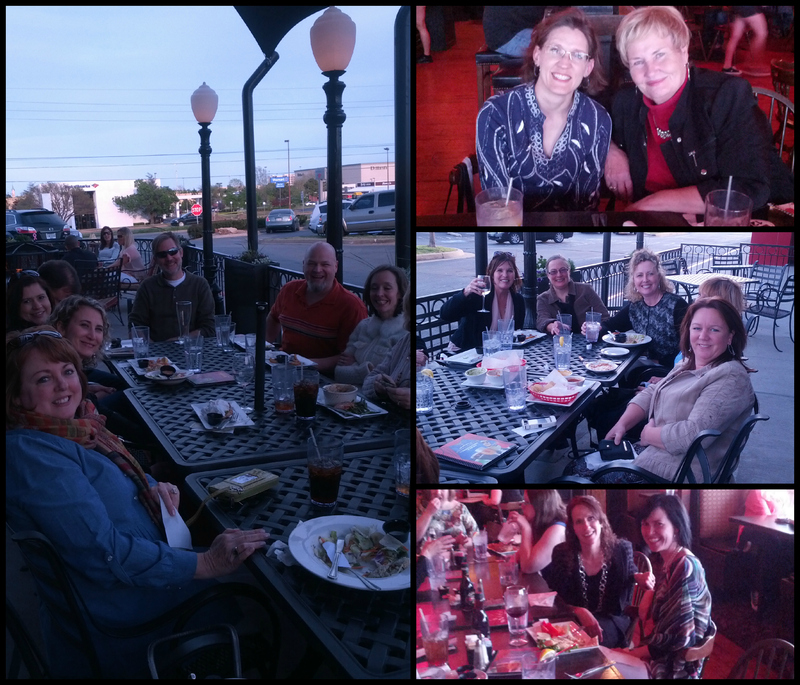 Our Fall Retreat for Oklahoma SCBWI last month had something for everyone, with specific tracks for novel, illustration, and picture book that allowed you to focus on your area of interest. The theme “Fan the Spark” encouraged all to turn those beginning creative sparks into fully developed stories. I attended the Novel Track. The first speaker had a background in theatre arts and showed us how writers could learn from actors when developing their characters. She also stopped by this blog prior to the retreat to introduce herself. Click on this link to get a more detailed view into her background..
Ginny Sain – with more than 20 years experience as a working director, choreographer, playwright, theatrical designer, performer , and theatre arts teacher, she has worked as an artist in residence teaching theatre arts workshops in Arkansas and Oklahoma schools as well as teaching and directing all classes, workshops, and productions for over 18 years with the very successful Stages Theatre for Youth program. When creating your characters, you want to move from the general to the specific. By paying attention to the inner lives and motivations of your characters in every scene. And this should be done FOR EVERY CHARACTER. When an actor prepares for a new role, they get to know their character intimately – what motivates them, how they move about in space, what they like and don’t like – they slip into their character’s skin to portray them in a believable manner. The actor inhabits every inch of that character’s psyche. And they do this before they even step foot onto the stage. This can feel like a daunting task. Impossible even. They break down the play into moments – or beats – and figure out what’s driving their character’s behavior from moment to moment. Beats are manageable chunks even smaller than scenes. Some obvious beats include when a character enters or exits a scene or when there’s a shift in conversation, or when new information has been revealed. Once the beats are identified, the actors then decide what the character’s objective, obstacle, and action is for each beat. Objective – What your character wants. Each character has one main “superobjective” that spans the entire work and many smaller objectives that lead toward the “superobjective”. The path a character takes as they move through these smaller objectives is called the “through line”. Each character should have an objective for every beat they are on stage. The objective should be active and directed toward the other characters. Objectives seek to change things. Obstacle – What is keeping your character from getting what they want. Obstacles can be internal or external. Or both. This struggle is what makes the story interesting. Action – What your character does to overcome his or her obstacle. There are usually three possible outcomes: the character will give up, overcome the obstacle, or plow through and ignore it. How they react to obstacles shows what characters are made of – reactions reveal a lot about character. Focusing on what each character wants as you write each moment – which may be completely opposite/opposing things – can make for much more interesting writing. Learn more about Ginny by visiting her website: HeARTsong Creative Center. The next speaker was no stranger to our OK SCBWI group or to the previous speaker (being her mother). She gave a talk about how to write emotion into your story without crossing the line into sentimentality. Anna’s talk focused on helping us see the difference between emotion and schmaltz, the Yiddish word for sentimentality or literally, chicken fat. Emotion needs to be stronger. Yet, this doesn’t mean readers want to see characters spill their guts out when grieving. Crying is too easy. It’s the struggle that’s most interesting. Readers want to see how characters deal with problems – this is where the emotional connection lies. So, what can you do to show this? Think of an action to show the emotion. Anna gave the example of John F. Kennedy’s assassination. This was a devastating time for the entire country. And yet, the most moving image wasn’t of a widow grieving, it was of his young son saluting his casket. Of course, tears do have their place, but don’t rely on them, or any other bodily expression, as a crutch for showing your character’s emotion. Focus more on that action that expresses their sorrow. The next speaker lead us through a visualization exercise to help us overcome blocks in our creative process. 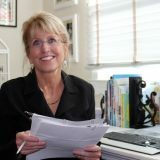 Pati Hailey – Over her career, Pati has written state legislation, online training for large corporations, lesson plans for teachers, and literature for children and adults. She is a frequent speaker at conferences and schools. Pati’s articles have appeared in newspapers and magazines, including Cricket and Hopscotch. Her contribution to this series, TE ATA: Oklahoma Cultural Treasure, is her first published children’s book. I always find these visualization exercises helpful and I always learn something surprising about my manuscript or my character. Pati walks us through a simple relaxation before taking us through the visualization exercise. During the visualization, we are to focus on a part of our manuscript that is giving us trouble and look at it from a different perspective, paying attention to surroundings in more detail, and thinking about our characters in different ways, even asking them specific questions. These visualizations allow your brain to relax enough to use your subconscious and solve story problems. You can try these on your own, too. While writing, think about getting up every 30 minutes or so to give your subconscious time to work on any story problems you might have. Follow Pati on Facebook here. …before the final event of the day. The Inspirational Keynote from LINDA URBAN! YAY!!! Linda encouraged us to be open to inspiration and new ideas throughout the weekend. She told us the story about when she first felt that spark, that joy from writing. She put her heart on the page and loved that feeling. Then one day the good feeling stopped. A boy called her writing weird, and said she was weird. She felt horrible and stopped writing for a long time. For her, she wants to write about small things that matter to kids in a big way. Stay tuned for The Recap PART II to read all about what Linda Urban had to teach us during the revision intensive on Day Two! I met Hannah Harrison a few years ago at one of our local SCBWI OK conferences. I was immediately struck by her open, friendly demeanor and her amazing artistic talent. Also by the fact that she had a head of hair even curlier than mine. Hannah won the Illustrator’s Best Portfolio award that year and the next. Still, she remained grounded and humble and just as sweet as ever. As some of you may remember, Hannah gave the keynote speech at this fall’s Agent Day Conference where she told us all about her journey to publication, culminating in a two-book deal with Dial Books. Hannah’s first book coming out is EXTRAORDINARY JANE, releasing this February. We’re all so very proud and excited for her. Hannah was gracious enough to stop by for an interview, going into even more detail about her work and her life. Valerie Lawson: I loved reading in your bio how your kindergarten teacher recognized your obvious artistic talent and put you in “Special Art” with the fifth graders. How huge an impact did that teacher make on you and in helping to develop your craft? Hannah Harrison: So huge! Marlene Witham just made me feel so, well…special! She made me feel like everything I created was really something to behold—whether it be paint, or clay, or dry macaroni. It was so kind of her to have such confidence in me—to single me out the way that she did. Here I was, just a frizzy-haired pip-squeak in hand-me-down clothes, and she noticed me, and believed in me, and made me feel like my talent was unique. So, yes, her impact on my life was huge. VL: She was bound to single you out when you drew yourself in profile when asked to draw a self-portrait. What Kindergartner does that? Incredible! Your miniature paintings just fascinate me – some as small as one inch by one inch! How did you get into this “small” world of miniature painting? HH: Well, I realized that it would probably be a good idea for an aspiring children’s book illustrator to know how to paint children. So I started doing little paintings from old photographs of me as a kid. Since they were just studies, I painted them small (I figured it’d be faster). I thought they turned out kind of snazzy, so I hung a few of them up in the artist co-op that I was a part of as an example for commissions. One of the other artists in the co-op, Irene Goddu, was a miniaturist, and when she saw my tiny portraits, she invited me to join The Cider Painters of America. Before this, I didn’t realize that miniature painting was something people did! There’s a niche for that? Turns out, there’s a pretty big niche with miniature painting societies all over the world. There’s even a World Federation of Miniaturists! Who knew?! So now I’m a Signature Member of The Cider Painters of America and The Hilliard Society, and I feel pretty fancy. VL: They are really incredible – so much detail for such small works. HH: Aw, thanks! What is it Bob Ross used to say? Three hairs and some air? It’s kind of like that. VL: The number of paintings you have of animals far outweigh those of humans and yet the animal pictures tend to have human characteristics, wear clothing, etc. Are you more comfortable with animals or are they just more fun to draw? HH: I love painting animals and people. But for illustration, I think I am more comfortable with animals—it’s easier for me to paint them from my imagination. People are hard to get just right (painting flesh tones is tricky business, and it’s hard to keep continuity of character), but with animals, as long as they’re good and fuzzy, and have soulful eyes, they’ll at least be endearing (I hope). A badly painted person? Not so cute. Sometimes creepy. Plus I love animals for picture books because 1) they can get into whatever kinds of shenanigans you want them to without too much regard for personal safety or rules or parents, 2) any kid, regardless of race, can relate to and identify with animals. I will also confess that as a kid, I often enjoyed dressing my pet cats up in doll clothes (I was an only child, leave me alone). The cats were not amused. I, however, thought it was stinkin’ hilarious. I still think animals in clothes are funny. HH: Ha! It helps to use the element of surprise! VL: Your paintings are so detailed and yet you are also such a prolific painter, your website has pages and pages of exquisite paintings posted in the gallery, how long does it take you to complete each piece? HH: Thanks, Valerie! It’s hard to say how long it takes to complete a piece—they all vary so much. But I will say that the plethora of paintings on my website are a result of 10+ years of portfolio building in an attempt to break into the business combined with artwork created for various exhibitions. Show deadlines have a way of bringing the prolific-ness out of you! And being a “starving artist” doesn’t hurt, either. VL: Ah ha ha! Yes, I agree. Hunger can be quite a motivator. HH: On the whole, I think I was a pretty good kid. My mouth, on the other hand, liked to get me into trouble. And when it did, into the corner I’d go! We spent a lot of quality time together, me, my mouth, and The Corner. But I do remember this one thing…. It was winter in New Hampshire, and me and the little boy that lived across the street (let’s call him Ishmael), were in my back yard playing and shoveling snow. We were probably about seven or eight. Anyway, I had this kid-size shovel—probably about three feet long—and the blade was made out of blue metal. Anyway, I got it in my head that Ishmael would be impressed if I got a big shovel full of snow and hurled it over my shoulder—you know, show off my big Popeye muscles. So I got a big shovel full of snow, hurled it over my shoulder, and… THUNK, nailed poor Ish (who was standing right behind me) square in the eyebrow with the metal blade. Oops. Well, if Ishmael was impressed by my super-human strength, he didn’t take the time to say so. He was too busy crying and running back to his house across the street. I knew I was in for it. I had been showing off, and I might have even killed Ishmael. Forget the The Corner—that was kid stuff. Surely the dreaded spoon was more befitting. But I didn’t get the corner or the spoon. No. My punishment was much, much worse. My mother marched me through the snow over to Ishmael’s house and made me…APOLOGIZE! Apologize? The horror! By this point, I was crying pretty good myself. But I did manage to stutter out a snot-filled apology. And, despite his scar and my wounded pride, Ishmael and I were able to stay friends. VL: Is it wrong that I find that story hilarious? I can relate to poor Ishmael, though. My brother once thought it would be a great idea to throw a shovel up in the air. I caught it with my forehead. HH: Oh nooo! I’m glad you lived to tell the tale. HH: Oh, man. I have always wanted to be a children’s book writer and illustrator! I can’t remember a time when I didn’t love to draw. As a kid, I would spend hours on the living room floor sketching out the stories from my Little Thinker Tapes (do you remember those?). And then, when I was in second and third grade, I won the Young Author Book Awards, and got to represent my elementary school at a statewide conference. I was able to hear real-life authors speak about making books, and I was hooked. I knew that was what I wanted to do when I grew up. I couldn’t think of anything better! 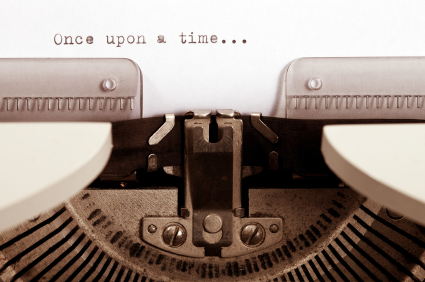 VL: When did you know you wanted to be a writer/or to pursue the career you chose? When did you start pursuing that seriously? HH: Like I said, I’ve always known I wanted to do this, and so I’ve been taking baby steps towards the dream for pretty much my whole life. I always took art classes in school. And whenever there wasn’t an art class that fit my schedule, my teachers let me make art classes that fit my schedule. I took private art lessons, too. I majored in art, and minored in creative writing at Colby College. I created an independent study in children’s book writing, and did an internship with Kevin Hawkes. As a Senior Scholar, I explored the connection between writing and painting. After graduation, I worked for a sign company and in an art gallery, I painted theatre sets, and worked in an elementary school—all jobs that, to me, related back to the ultimate dream of doing books. But I guess you could say that I really got serious in 2002, when I joined SCBWI. That’s when I realized just how much work I still had cut out for me if I ever wanted to get published. Who knew there was so much to learn about the craft and the industry!? Who knew it was going to be so competitive?! Who knew it was going to be so…hard? I pursued children’s books seriously(ish) for 10 years before I got my first offer on a book. 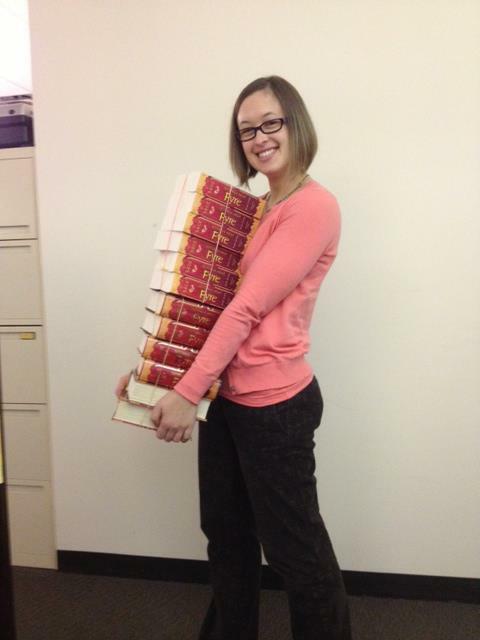 VL: It’s amazing that people think writing books for children is easy, isn’t it? HH: Yes, yes, and YES! That’s why I always remained under the covers up to my nose, and never, ever, let an appendage drift too close to the edge of the bed. Ever. And if I had absolutely no choice but use the bathroom in the middle of the night, I leapt like a gazelle from said bed in order to completely clear the grabbing zone. And then I scampered. I scampered like my little life depended on it. Because it did. VL: Ha ha! I would do the same thing. One of the drawbacks to having a very active imagination is that you can visualize monsters right into being. HH: Yes! My dad built me the most amazing treehouse in our back yard. It had stairs, a wrap-around porch, a skylight, a dutch door, windows with shutters, gingerbread trim, and carpeting…it sounds a lot nicer than the house I live in now, actually. Did I mention my dad’s the best? My friends and I had a lot of macaroni and cheese lunches up there. And I do remember my cousin and I camping out up there one night…until our imaginations got the best of us (see above), and my dad pretended to be a bear. It was also my favorite place to practice my flute. I’m guessing it was my parent’s favorite place for me to practice my flute, too (not so sure about the neighbors). HH: I was once attacked by a bear in my tree house. VL: Yikes! I hope the bear was your dad. What was the worst job you ever had while going to school? HH: The summer I spent in a factory packaging up heat-sinks was pretty awesome. VL: Did your friends ever come by while you were working and embarrass you? HH: Nope. Strangely enough, no one wanted to spend their summer afternoons hanging out in the dark, windowless, unconditioned, heat-sink factory. But fortunately, the three older ladies I worked with took care of the embarrassment factor by giving me the nickname “Sasquatch”. Apparently, the work boots at the end of my skinny little legs were quite becoming. VL: Oh, what an unfortunate nickname! HH: Tell me about it. VL: What are you currently working on? HH: I’m currently working on raising our four year old daughter. I am also working on the illustrations for my second book with Dial, Bernice gets Carried Away. VL: How exciting! I can’t wait to see it. What would be your dream assignment/what would you most like to write about? HH: Hmmm. I’m not really sure! Maybe something with a koala bear in it? Oooh! Or a duck-billed platypus? They’re kind of adorable. See, it’s dilemmas like these that remind me just how much I LOVE MY JOB! VL: We’re so very glad that you do! I sense there will be plenty more books from you coming our way. Thank you for being here, Hannah. I look forward to seeing your work in print very soon! HH: It’s been my pleasure! Thanks so much for having me, Valerie! Learn more about Hannah Harrison and see more of her artwork on her website here. EXTRAORDINARY JANE is now available for preorders. Click on any of the retailer logos below to order your copy, today.